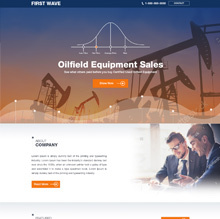 FirstWave website allows purchasers of Oilfield equipment to see price transparency in the product before the purchase of the product. 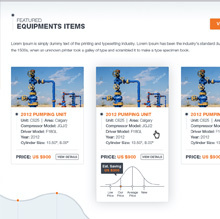 The price check graph gives members a quick glance to see if the price is in line with what others paid for up to date pricing information. 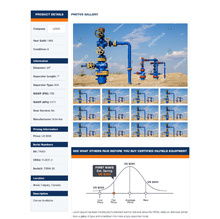 Using WordPress to manage all equipment and pages throughout the site make it easy to add/update content and make any changes. 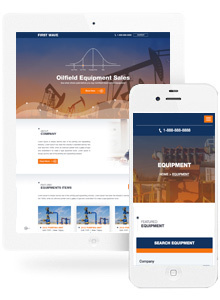 The digital marketing campaign targets over 100 keywords related to the oil and gas industry driving potentially 1000's of qualified leads each day. Simple views let you know what others paid before you purchase. 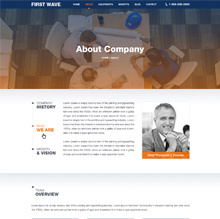 Simple product checkout for building your online business. Purchasers know before they buy the true market value.